Do you recognise this landscape? I have received a special request from a gentleman with a painting. 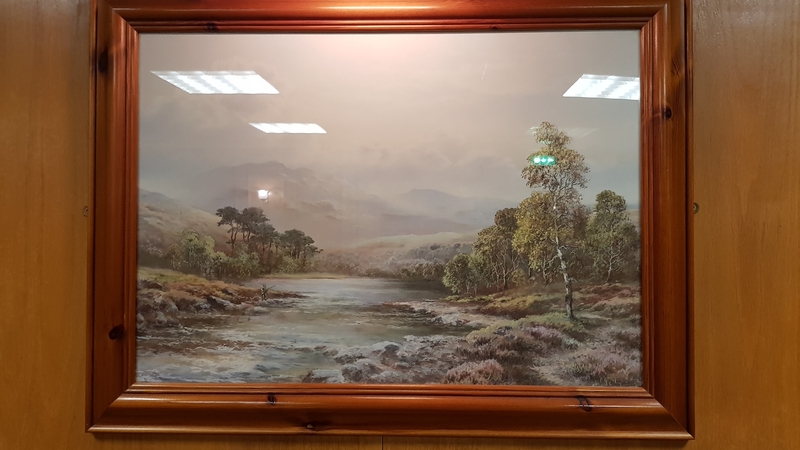 Can anyone identify the location of this landscape painting, apparently painted by Sir Edwin Landseer? It is presumed to be a landscape of somewhere in the Highlands. Do you recognise this location or can you offer an inspired suggestion? 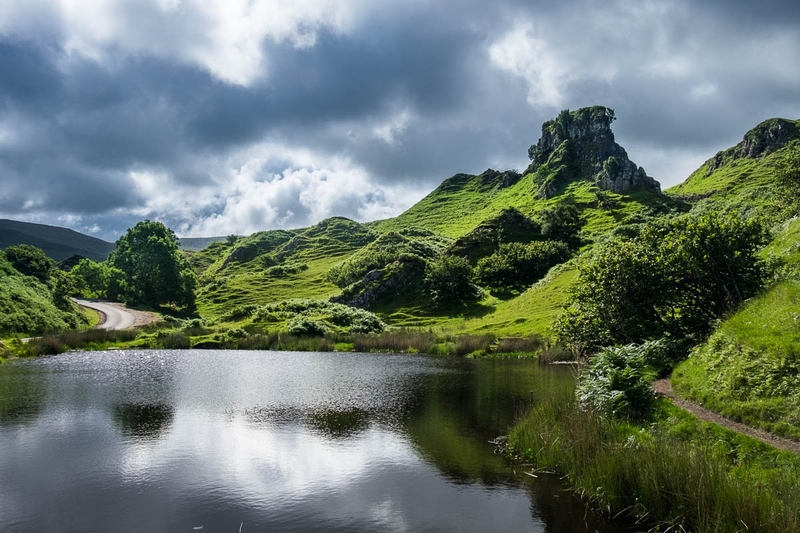 I think it could be Castle Ewen at the Fairy Glen on Skye. It you Google images you'll find photos of it taken from an angle that looks very similar to the one in the painting. Samantha, thank you so, so much for your input. We are thinking it could be Skye. I'll have a look and see if I can find a similar image. This one's from Walkhighlands (not mine) slightly different angle but definitely the same place. That deep scar in the land running up from the water is the same in photos of the castle. Yes, that does look likely @Samantha_Grant. I also got a confirmation of that location from one of our advisors at the Portree iCentre. If anyone has any further thoughts, please feel free to comment. @Secret_Highlands I did wonder about there too but though it looked more like Castle Ewen. If you google pics of Castle Ewen there are some online that are almost identical to the painting. I suppose without definite artist details or a painting name to give a clue it'll remain a mystery. Interesting, as the owner of the painting wondered if it could be Stac Pollaidh. They both look plausible but it is a close call. Thanks for all your help. Believe it or not, I have another request to geographically locate a painting. I'm a little stumped, as is Google Image search. If anyone has any ideas, suggestions, educated guesses, hunches, funny feelings (?!) or flashes of inspiration, please do comment and I can look further into it. We could call ourselves The Painting Detectives. 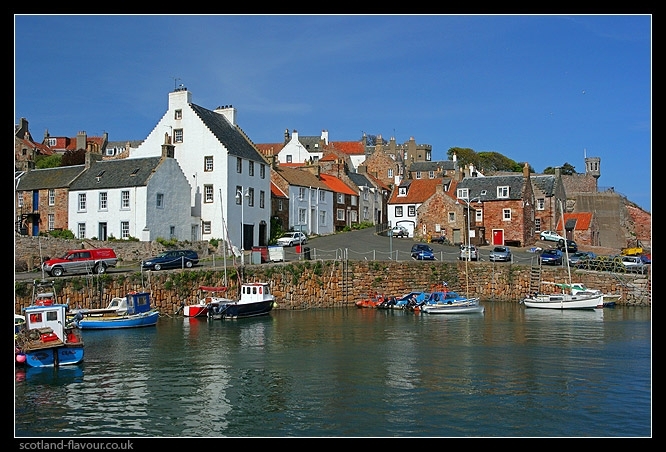 I think that's Crail in Fife... here's a photo I picked up from Google. Wow, @Fofoma, that is spot on. Well done. This is great. Thank you so much. "I looked really carefully at Castle Ewen and “drove” along the road there on google, and I am sure the view is not there. Basically the skyline is quite different, and also the distinctive crag in the painting is about 1-2km away from the viewer. The Castle Ewen Crag is only about 100 yards or so above the loch according to google maps. So your Secret_Highlands member is, I believe, right in Stac Pollaidh.. If you could post this reply for me so I can have his opinion on one aspect though? (or anyone else who knows it up there). It is very remote, no roads near etc, but in the painting there is a fishing boat with 2 men and a rod in the foreground. How did that get there…? The view is from the East probably from Loch Lon na h-Uamha, and the gully on the right in the painting is Allt Lon na h-Uamha, and the view may be from the small peninsular on the west side of the loch. Or it could be from the loch just a bit further away (East) called Loch an Doire Dhuibh. 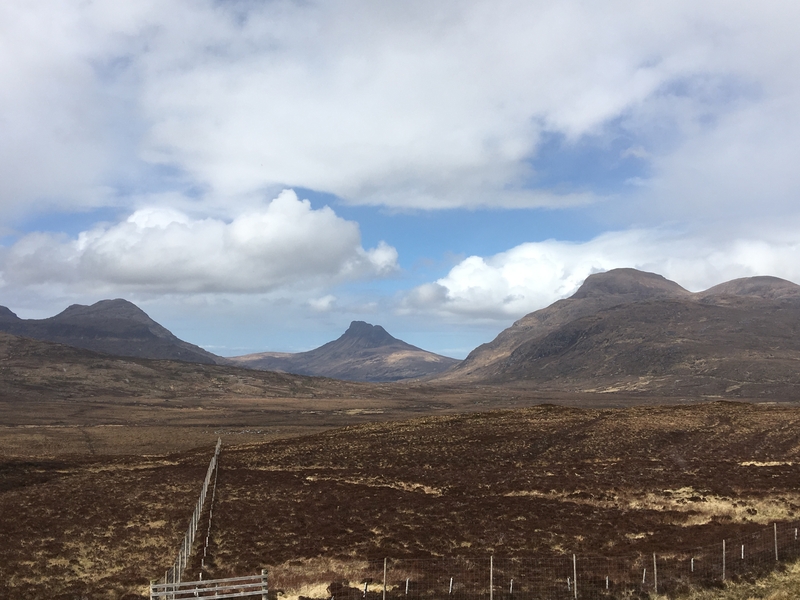 From these lochs to Stac Pollaidh is about 2 kilometres and the skyline seems a perfect match. Is there a local club I should contact whose members could try to take a photo some time next year when on a walk up there?" I only have a few photos of Stac Pollaidh and have attached one below (bottom) It's clearly from a completely different angle though. Saying that painters are notorious for exaggerating and romanticising the landscapes that they paint so it's likely that the painting won't ever exactly match the reality. It'll be the artists interpretation of the place. I've seen classical paintings of Glencoe that make the 3 sisters look larger than the Alps. 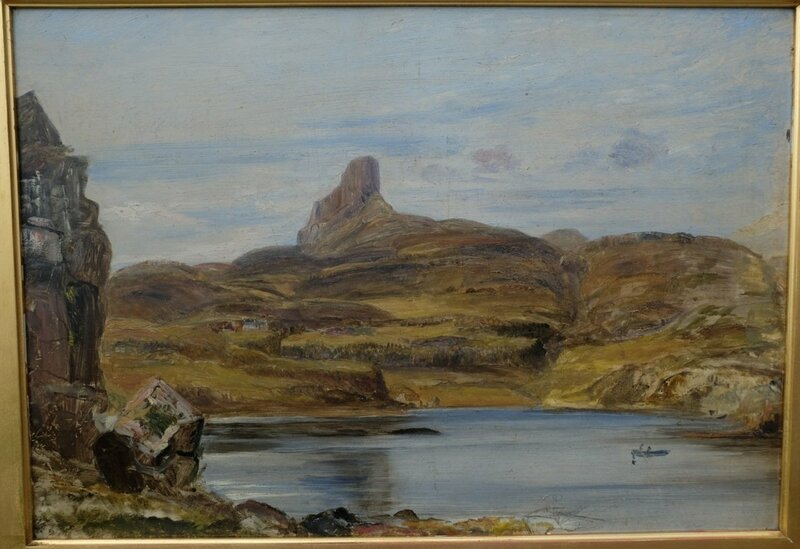 There are a couple of modern painting of Stac Pollaidh online that say they're from Loch Lurgainn and they look similar as in they've painted the loch to look like a quaint wee boating pond and caught the mountain gable end on making it look quite small. Also do we know if it's an actual Landseer as if it is there's bound to be an expert in his works out there who would be able to give an opinion. Hello local landscape lovers and art detectives. 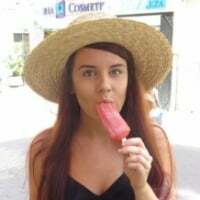 I have been sent another picture to identify. 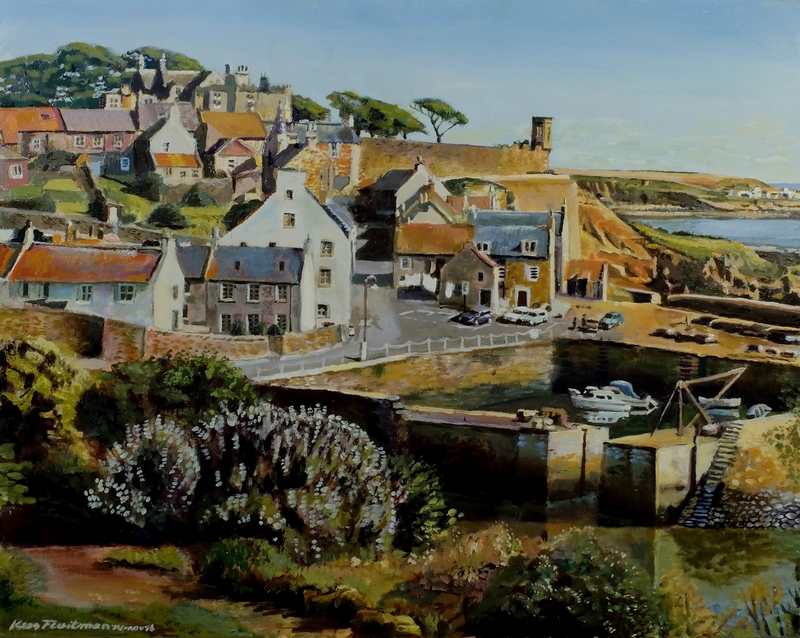 Phill's picture is a print and he thinks it may be the River Tweed but he would like a second opinion. Unfortunately there are no defining landmarks to make it easier. There is a wee figure doing a spot of fishing in the mid-ground. Does anyone recognise this landscape? sounds like something @fishypro might be able to help with! Thanks @VisitScotlandAmanda , I don't know why you have picked me! I will still try and have a go at finding the location. @VisitScotlandJulie , regarding the painting of river fishing, I don't think that it is the river tweed because of the mountains in the background. I would say that it is somewhere in the cairngorms national park. The heather at the waters edge would also suggest the Cairngorms. Can anyone else help us out? The first painting (the mountain) is the sgurr of Eigg on the isle of Eigg. hmm. What else could it be? The Tay? The Tummel?